Property each individual accumulates during the marriage except property obtained during the marriage through an inheritance or a gift. However, even when marital property is obtained as a gift or through an inheritance, it may still become marital property if it is commingled with other marital property or when the other spouse becomes a co-owner. 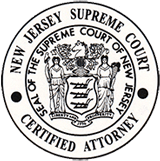 Property distribution during a divorce can be very complicated. We know that during a divorce, which is a time of significant emotional stress, you will be asked to make financial and legal decisions that will impact the rest of your life. 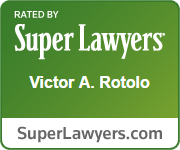 At Rotolo Karch Law, our attorneys will work closely with you to negotiate and finalize your property distribution in such a way that will allow you to feel your best interests are being well represented. During a divorce's property distribution, the valuation of businesses for self employed and for people who own sizable stock in a closely-held business can be a further complication. However, Rotolo Karch Law works with experts in family-owned and closely-held business valuation to provide accurate values for the assets. Some factors involved in determining property distribution include the spouse’s ability to make a living as well as the health, age, and education of the involved parties. Rotolo Karch Law works with its clients to determine an equitable and agreeable distribution of marital property. 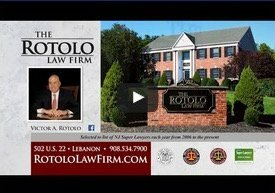 Please call Rotolo Karch Law; our attorneys will work to protect your assets and obtain the property you are entitled to at the conclusion of your divorce. Your initial half-hour consultation session is free.